John is Scottish, so this is homage to his heritage and was supper fun to design. 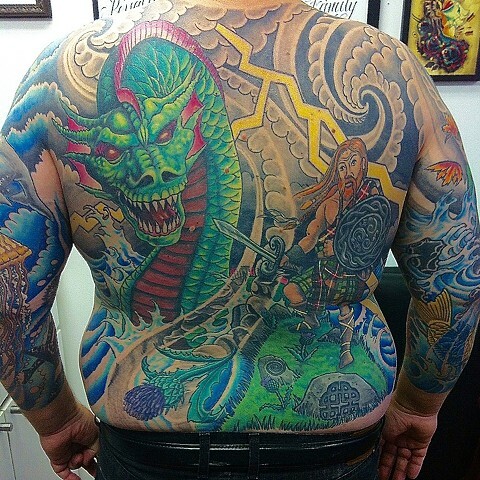 The tattoo probably took me around 40 hrs to complete. Thanks for all your support bro!